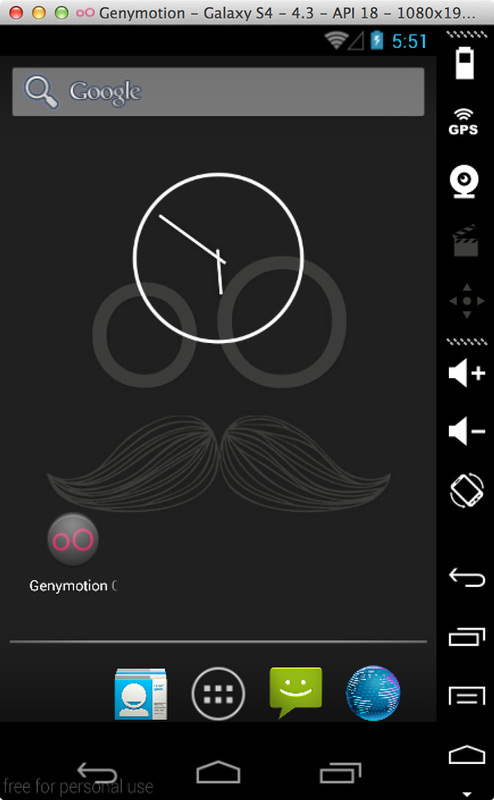 The combination of GenyMotion, AIDE and DropBox make it an option of simple, flexible and portable way of writing and testing Android Apps on various versions of Android OS. For the purpose of this tutorial, an Android Version 5.1.0 (API 22) is chosen. (Add additional name eg AIDE so that you know the purpose of this Virtual OS). Fine-tune the Configuration values for Base Memory and Screen Size according to your PC specifications. Smaller Base Memory and Larger Screen Size will make your Virtual Android runs slow. So optimize the values. Setting smaller screen size helps to make your Virtual Android runs faster. Wait for the booting process to complete. You can download APK from here (version 3.3). Drag the APK from your download folder (in your PC) and drop it in the GenyMotion Virtual Android Window (refer here if you are not sure). 5.1) Create a folder eg GenyProjects in DropBox Page. 5.2) Install DropBox Desktop Application. Run to synchronize the folder. 5.3) Run AIDE and configure it to link to your DropBox folder. I really enjoyed this post. thanks for awesome sharing.